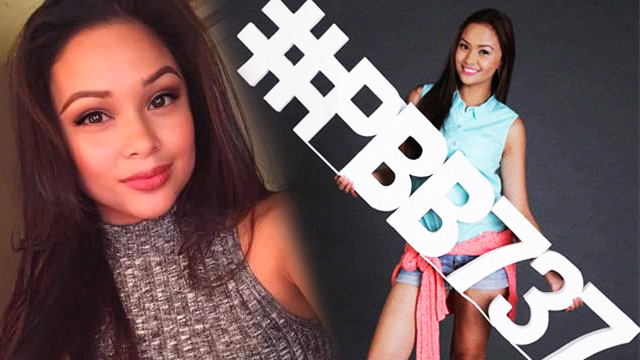 It's no secret that Pinoy Big Brother has given us a lot of beautiful ladies (and moments). There's two-time Philippines' Finest Sam Pinto, whose quick dip in the PBB pool instantly became a YouTube hit. Kuya also introduced us to cover girls Wendy Valdez, Niña Jose, and Beauty Gonzales. Here's to hoping that PBB's newest beauty, Jessica Marasigan, would also follow suit and add herself to the list of PBB alums-turned-FHM-cover-girls once she's done doing her housemate duties. Dubbed as PBB737's California Dreamgirl Ng USA, the 21-year-old beauty queen was born and raised in Los Angeles and is currently taking up a Broadcasting degree in Glendale University. She dreams of being a news anchor or a pop culture host in the future. Given her cute California girl slang and her bubbly personality, she may really be destined for TV. Prior to entering Bahay Ni Kuya, Jessica also joined several beauty pageants back in the States. She was crowned first runner-up in Miss Philippines-USA in 2012 and a year later joined Binibining Pilipinas-USA.